Are you on the hunt for a versatile and affordable new sedan in Youngstown? Then make it a point to get to know the Versas we currently have for sale or lease here at Boardman Nissan. Should you do this, we have no doubts that one of these outstanding sedans will soon be parked in your front driveway or garage. Standing as the top choice for those who like both spending less on gas and letting loose on the highway is the Nissan Versa. With access to 31 miles per gallon (mpg) in the city and 39 mpg on the interstate, the Versa's fuel-efficient 1.6-liter (L) engine is well-equipped for the job. Thanks to its ability to also churn out 107 pound-feet (lb.-ft.) of torque and 109 horsepower (hp), this sedan is also poised to excel as soon as you need to step on the gas. 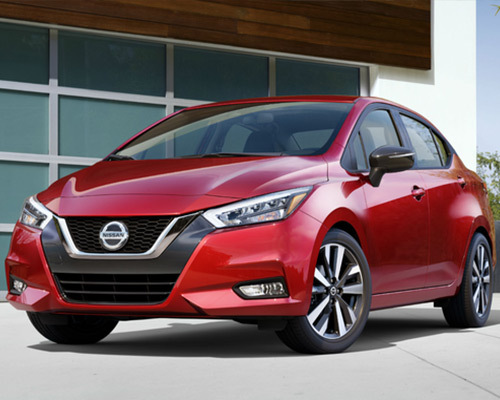 Going beyond surprising performance and impressive fuel economy, our selection of Nissan Versas excel in terms of cutting down on bumpy or rough rides. Thanks to precise handling, a high-response damper, premium front-end suspension, and electric power steering, delighting in a luxury driving experience without shelling out for an overpriced luxury vehicle has never been easier. For those who expect more from their daily drive, isn't the Versa your top choice when it comes to finding the right mix of luxury and affordability? For the modern commuter, staying synced with their favorite online tools is vital. Today's Versa embraces this concept completely, which is why you will find plenty of moder tech features in the most recent iterations of this sedan. Whether you enjoy access to Android Auto, Apple CarPlay, and the Versa's seven-inch (in.) touchscreen display or its drive computer, Bluetooth hands-free phone system, USB inputs, and access to SiriusXM, odds are there is plenty in this class leader that stands out to you. Designed to make your life a little easier, the Nissan Versa S has all of the tools needed to tackle any job. When you are able to leverage premium amenities, like a rearview camera, Siri Eyes Free, and a seven-in. monitor, making good on this statement and upgrading your daily commute is all just part of the process for this alluring sedan. Having a Nissan Versa S Plus sitting in your front driveway is a great way to send a message to other drivers here on the streets of Youngstown. Thanks to Bluetooth streaming audio, an integrated LED brake light in the rear spoiler, cruise control, and countless other premium upgrades, it is safe to say this version of the Versa is right up your alley if you are a driver who wants to get the most out of his or her sedan. Take charge of your desire to live the good life by tapping into the performance and quality of the Nissan Versa SV. From its Intelligent Key with Push Button Ignition and premium cloth seats to a 60/40-split drop-down back bench, there is plenty to love in the Nissan Versa SV. 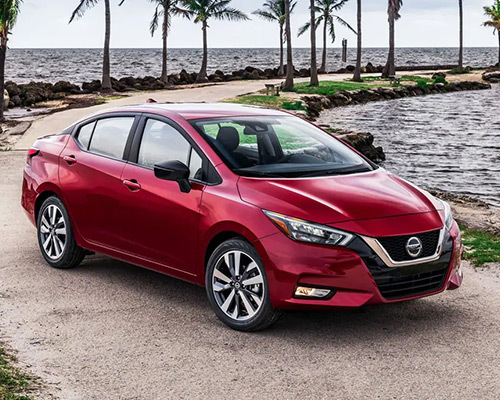 Just because this compact car knows how to save you money at the pump and within your monthly car payment does not mean this Nissan Versa ever comes up short on the inside. If you are not quite sold on this concept, then go ahead and take a seat in the cabin of one of these vehicles. As soon as you do this, odds are you will find yourself in awe of the massive amount of sitting room in the rear, the copious amounts of legroom for the driver and front passenger, as well as all of the luxury upgrades and premium features that round out the Versa driving experience. Are you in the market for a vehicle that you can count on in terms of cargo space? Then leasing or purchasing a Versa of your own from Boardman Nissan is clearly your top choice as you make your way around Youngstown. In particular, an ample glovebox compartment, handy center console (that includes cup holders), convenient front door pockets, and a surprisingly large trunk, which features 14.9 cubic-feet (cu.-ft.) of cargo space, all work together to ensure this concept holds true, no matter where the road takes you. If you truly want to get the most out of your time on Youngstown streets, then customization is key. With this in mind, enjoying a plethora of custom-made accessories is simply part of the Versa driving experience. Thanks to a rear spoiler, wheel locks, cabin LED mood lights, chrome accents, illuminated kick plates, and countless other options, incorporating your unique persona into the Versa that you own or lease is a cinch. When it comes to safety upgrades (both standard and available), it is safe to say that Nissan is a leader on this front. Once you factor in all of the information we have covered here, chances are it will not be long before you are stopping in at Boardman Nissan and seeing for yourself exactly how a Versa can slot seamlessly into your daily routine here in Youngstown.